Vintage advertising ads can be both amusing and enlightening. 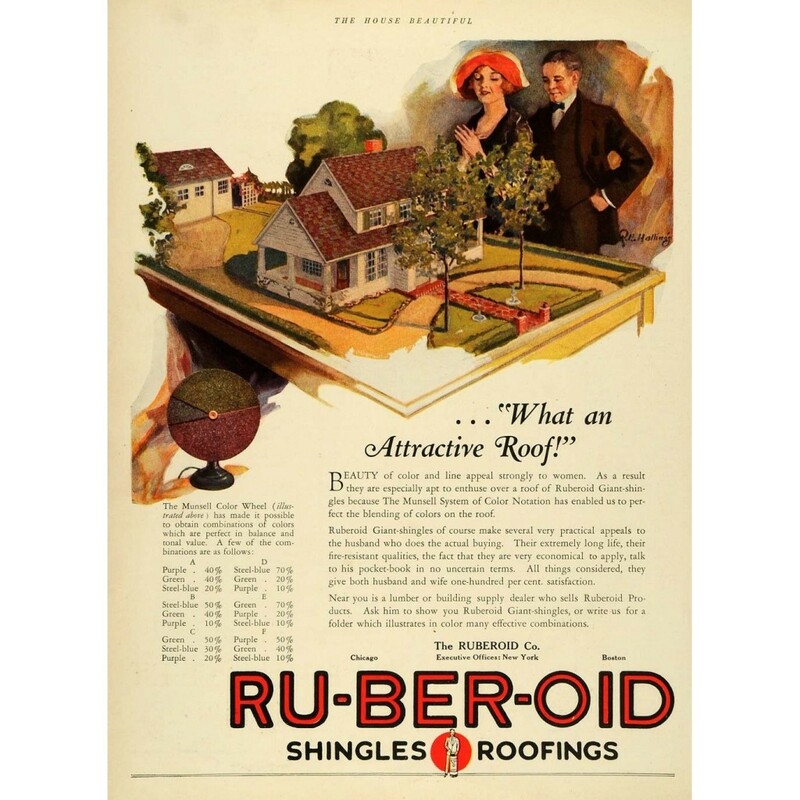 This is an original 1926 color print ad for the Ru-Ber-Oid Shingles Roofing from Ruberoid Company located in Chicago, Illinois. Like many vintage ads, the copy would be considered quite sexist in today’s society, but the value of Munsell’s Color Systems is clearly evident by the emphasis given. When we stop thinking about the woman in the red hat being so “especially apt to enthuse over a roof,” the amount of attention given to the use of Munsell’s system of color notation is more evident. 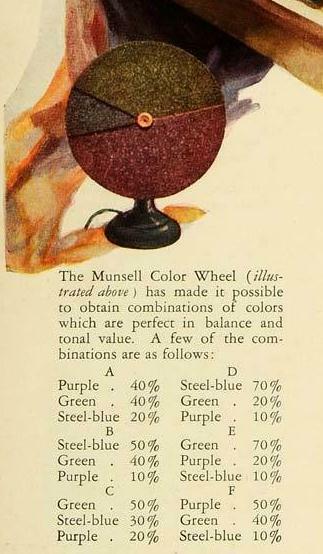 When Albert Munsell created the Munsell Color System in 1915 and then, started his own Munsell Color Company in 1917, there was a great need to unify colors. Along with advertising and publications, industry was expanding and coming into its own with mass production and mass distribution. There was a great need to have products be unified and companies needed to produce the same results over and over again through time and, as they expanded, through different manufacturing locations. Color standards were needed. By employing the Munsell Color Systems, the Ruberoid Company was able to now ensure that every roof shingle in a particular color combination would be just like another. In 1926, this was a major selling point. This is clearly noticeable by the illustrations of R. E Hallings in this vintage advertisement. 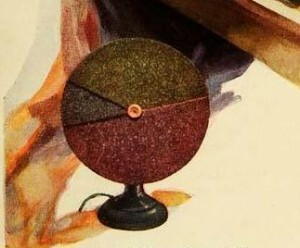 The (modified with shingle colors) Munsell color wheel is almost as large as the roof of the house! Taken from the pages of “The House Beautiful” in 1926, this vintage Munsell advertisement can be found for purchase currently on Ebay.